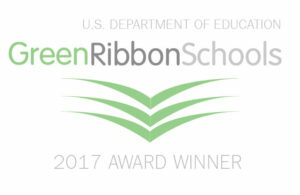 The U.S. Department of Education announced today that Discovery Elementary School is among the 2017 U.S. Department of Education Green Ribbon Schools award honorees. Discovery Elementary School is the largest Net Zero Energy elementary school ever built in the U.S., and the first in the Mid-Atlantic region. Discovery is on track to be LEED Platinum certified by the USGBC. From the earliest stages of project planning, the design team and Arlington Public Schools identified Net Zero Energy as a primary goal for Discovery, so considerations for site footprint, solar orientation, building construction, and energy use were given top priority. Discovery’s sustainable features include 1,706 roof-mounted solar panels; three-ply built up roof with two layers of ENERGY STAR cool roof coatings; a geothermal well field; solar preheat of domestic hot water; 100 percent LED lighting; ideal solar orientation and shading; and exterior walls with high thermal mass using insulated concrete forms. Discovery’s solar photovoltaic array became operational in January 2016. Since April 2016, the school has been operating as a Net Zero energy building. Operating at an energy cost of $0.39 per square foot in its first year, Discovery’s energy cost is one-third the cost of other elementary schools. 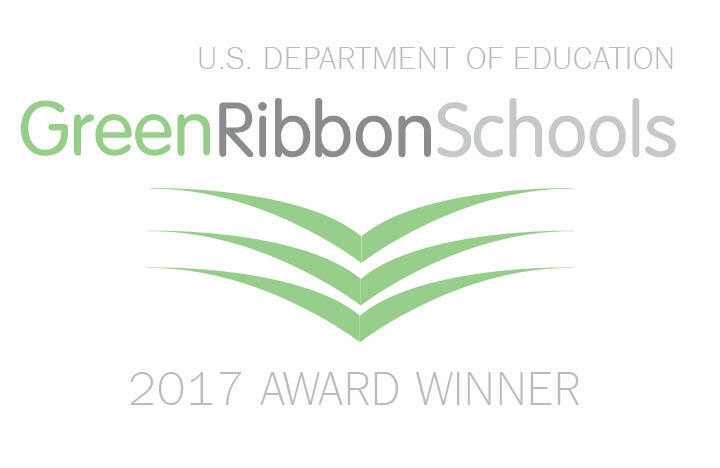 Across the country, 45 schools, nine districts, and nine postsecondary institutions are being honored for their innovative efforts to reduce environmental impact and utility costs, improve health and wellness, and ensure effective sustainability education. The list of all selected schools, districts, colleges, and universities, as well as their nomination packages, can be found here. A report with highlights on the 63 honorees can be found here. More information on the federal recognition award can be found here. Resources for all schools to move toward the three Pillars can be found here.